In animals and humans, immune system performs an important function to maintain the constancy of the body internal environment, carried out by recognizing and eliminating alien substances of antigenic nature from the body. This immune system function is carried out with the congenital andacquired immunity factors. Different types of radiation, heavy metal salts, vitamin and micronutrient deficiency, stressful situations, age-related changes in the lympho-myeloid complex, therapy with anti-tuberculosis, antibacterial, hormonal, cytostatic drugs and a number of other factors lead to the development of immune diseases. These diseases can be treated with a set of immunotherapy methods; use of immunostimulants is one of them. Today, immunostimulants are distinguished as of microbial, thymic, bone marrow, cytokine, nucleic, plant and synthetic origin. Azaheterocyclic compounds comprise a class of compounds that have demonstrated significant biological activities against various human diseases. We suggest that azaheterocyclic compounds with a piperidine nucleus are perspective for the search for new effective immunostimulating drugs. To study their immunostimulating activity, the following compounds were taken: BIV-3 – 1-(3-butoxypropyl)-3-methylpiperidine 4-spiro 5’-imidazolidine-2’,4’- dione, BIV-4 – 1-(2-ethoxyethyl)-4-hydroxy-4-dimethoxyphosphorylpiperidine, BIV-7 – complex of 3-(2-morpholinoethyl)-7-(3-isopropoxypropyl)-3,7-diazabicyclo [3.3.1] nonane with β-cyclodextrin. The comparison drug was methyluracil. Results of the studies are presented in this paper. BAKTYBAYEVA, L. K. et al. Immunostimulating properties of the azaheterocyclic compounds BIV-3, BIV-4, BIV-7. International Journal of Biology and Chemistry, [S.l. ], v. 11, n. 1, p. 57-64, aug. 2018. ISSN 2409-370X. Available at: <http://ijbch.kaznu.kz/index.php/kaznu/article/view/314>. Date accessed: 24 apr. 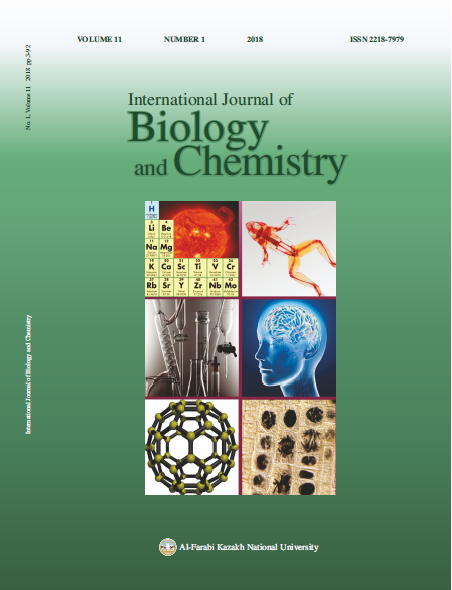 2019. doi: https://doi.org/10.26577/ijbch-2018-1-314.